Marble is in a big way! 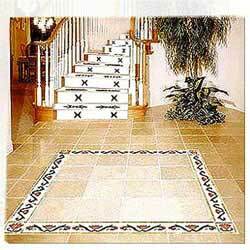 This marble flooring in soothing colors is a result of artistic inlay work and indeed looks magnificent in all kinds of settings. 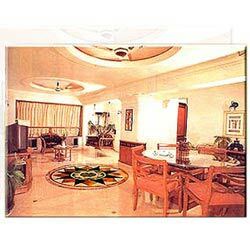 Marble Inlay Flooring AB-MIF-0002 Look no further for mind-blowing options in marble floorings! 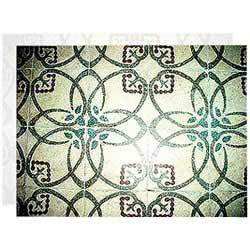 Stones have been inlaid to create artistic patterns that accentuate the decorative feel, that this flooring seeks to bring about. 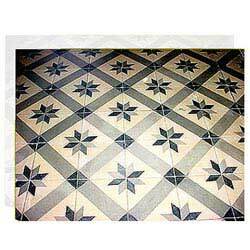 Stones inlaid to create artistic patterns that accentuate the decorative feel, that this flooring seeks to bring about. Our aesthetic and ingenious creativity has unquestionably left you gaping at this wonderful and exquisite inlaid flooring to match with the inlay stair AB-MIST-01. This is surely a treat to the connoisseurs of art and artifacts. 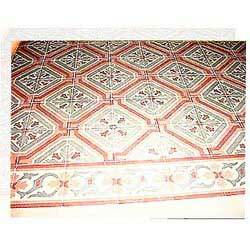 One of our splendid overlay design AB-MOC-0011 has been immaculately added to the flooring for that superfluous royal touch that is sure to enhance the beauty of not just the interior decoration, but also the architecture.